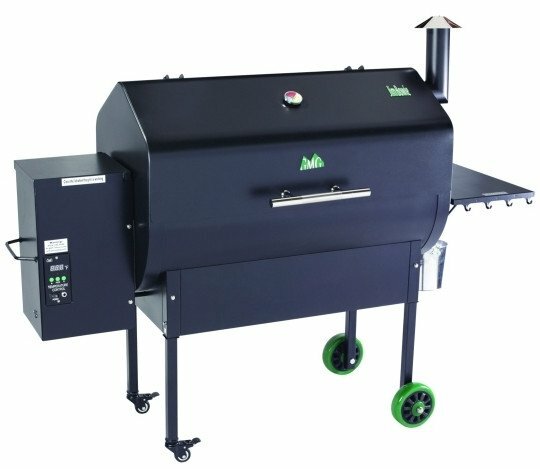 Why are Pellet Grills BEST for Backyard Grilling? As summer approaches friends and family begin migrating outside to enjoy the warm sunshine and one of our favorite past times… Grilling out! Although there are many ways to grill your favorite BBQ, none compare to the flavor grilling with pellets gives. Pellets are a natural product made with the finest of hardwoods such as hickory, cherry, hard maple, apple, and more. The flavor is perfect for whatever you dream up! The possibilities are endless. Pellets are considered a green product because they free our landfills of usable material and they are so easy to clean. No fuss no muss! Some of our favorite Pellets are made by Green Mountain Grills. See comments below describing the premium blends that Green Mountain and Backyards N More offer. Green Mountain Premium Gold Blend: This mellow blend of red oak, hickory, and maple subtly flavors your food without overpowering it. These are some of the hardest of the hardwoods and produce a long burn with modest smoke. 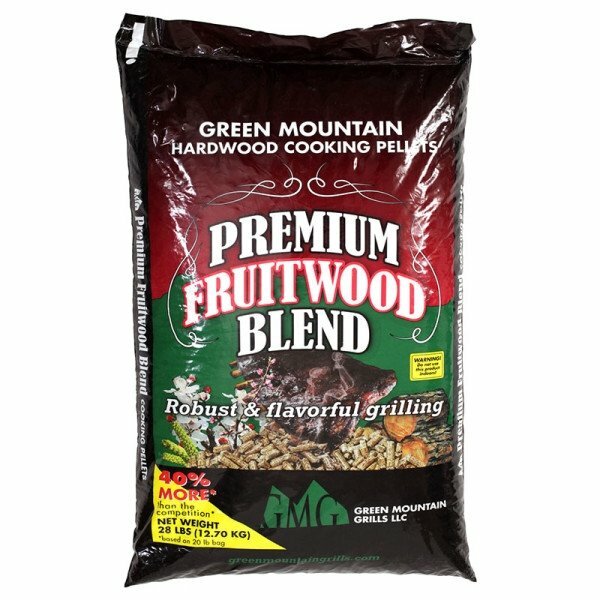 Premium Gold Blend Green Mountain Pellets are a perfect blend of hardwoods that boost the flavor of anything you are cooking. 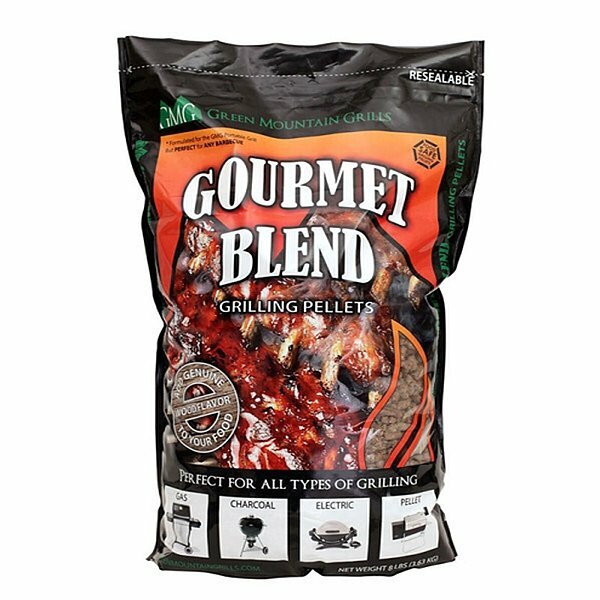 Green Mountain Grills Brand Pellets are made out of 100% kiln dried sawdust that never touches the floor. Our Pellets are held together with the natural lignin’s in the wood. Premium Gold Blend Pellets are oak based and a larger diameter pellet that allow them to last longer than standard sized pellets. 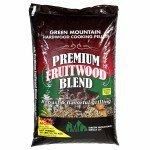 Premium Fruitwood Blend: Premium Fruitwood Blend Pellets are a perfect blend of fruitwoods to bring out the flavor in your food. This bold blend of cherry, beech, pecan (yes, pecan is a fruit!) smells sweet when you cook with it and adds character to whatever you grill. This blend is flavored by competition barbecue teams nationwide. These pellets offer a flavorful light smoke. Premium Texas Blend: Packed full of big Teas flavor in every pellet. 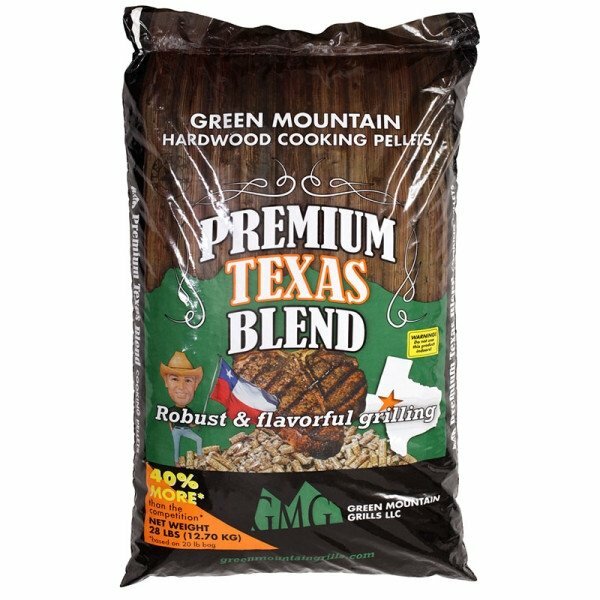 Green Mountain Grills Premium Texas Blend is the perfect choice of hardwoods to bring out the flavor in your food without overpowering it. This aromatic blend of black oak, hickory, elm, and a hint of mesquite to offer a consistent flavorful smoke throughout the cook. Green Mountain Pellets are a deep brown with a large diameter so they will burn longer than Standard pellets. If you like a hint of mesquite, big flavors, and good heat the Texas blend is right for you. 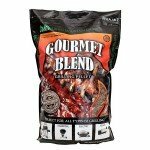 The Gourmet Blend is a perfect blend of black oak, hickory, and mesquite. The 8-lb bag is space saving for camping, RV’ing, picnicking, and tailgating. The Gourmet Blend is specifically designed for the Davy Crockett portable grill to ensure the best grilling experience possible. Green Mountain Beer Can Chicken is some of the best chicken you’ve ever had! Put ¼ cup kosher salt in about a gallon of water in a large pot and stir until dissolved. Thoroughly wash and rinse a whole chicken, removing the giblets. Immerse the chicken in the salt water, making sure the water covers it completely and refrigerate for about 3 hours. Melt 2 tablespoons of butter and stir it into 2 tablespoons of vegetable oil. Rub the entire chicken, inside and out, with this liquid. Sprinkle generous amounts of garlic salt and black pepper on the outside of the chicken and in the cavity. Empty about one half of the beer from a can. Warm beer works best. Add 1 shot of tequila to the can of beer (OPTIONAL). Place the chicken on the beer can, inserting the can into the cavity. He chicken should stand up on the can by itself. Set the grill to 325. Wait until the temperature stabilize. Cook for 2 hours and 15 minutes or until done. Chicken is done when leg moves freely in socket. Why Build a Custom Kitchen, Grill, Fire Pit, Fireplace in your backyard?